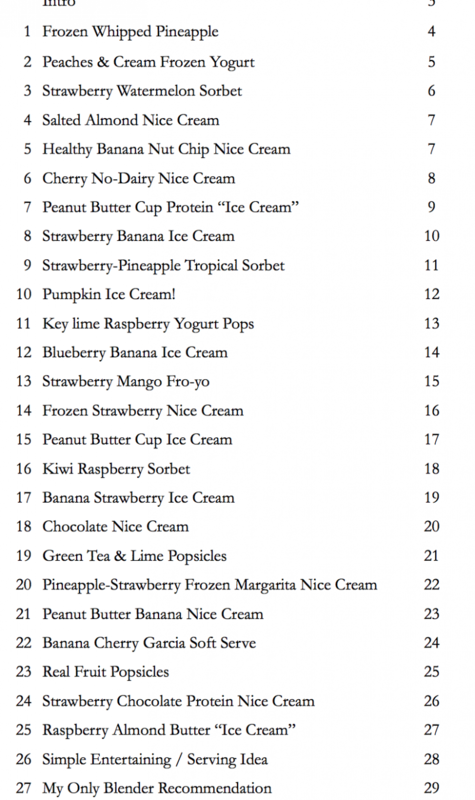 A truly healthy, refreshing Summer treat for kids AND their parents!? Place all of the ingredients into a large bowl and mix well to combine. Fill 4 popsicle molds to the top and place a stick in the mold. Freeze in freezer for at least 4 hours or overnight. For two separate colors, divide coconut mixture in half leaving the berries out of 1 half. Add 1/2 of the coconut mixture into your popsicle molds before adding any berries, freeze for 1 hour, then add the coconut/berry mixture & sticks, then continue freezing until solid. Do you like clean, frozen dessert treats just like this one? 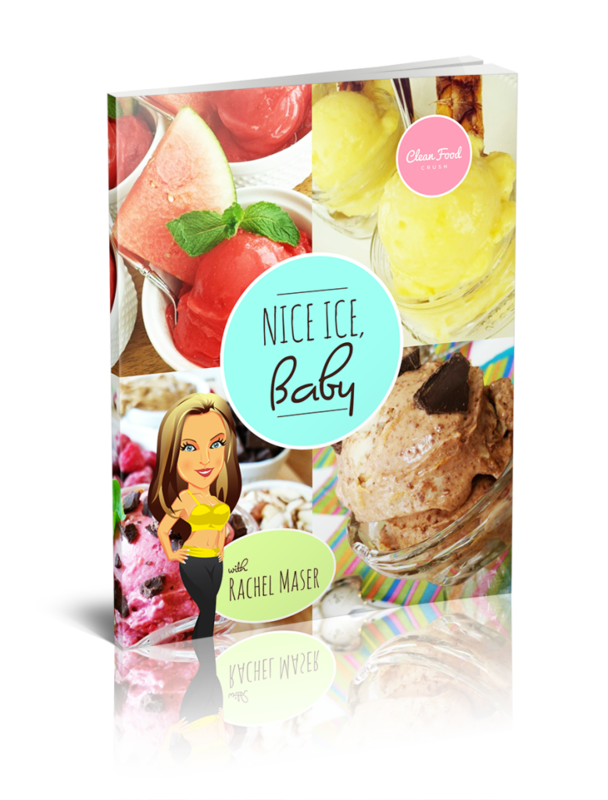 For the next few days you can get a complimentary copy of my new eCookbook “Nice Ice, Baby!” when you order the Clean Food Love bundle including 30 Days of Clean and Easy Recipes . We have set up our system to also give you instant access to the new Nice Ice, Baby eCookbook. All of the recipes are SIMPLE, Fun, and Delicious! Trust me, you’ll save a small fortune (and A LOT of fat & sugar) making your own desserts! 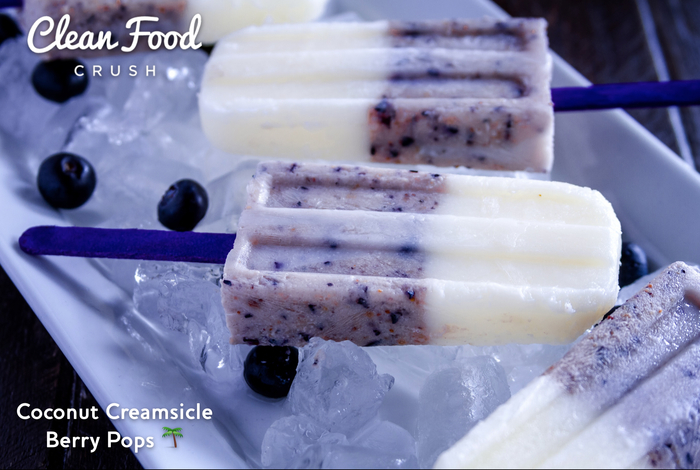 Coconut Creamsicle Berry Pops ?